A 21st birthday is a fun time for family & friends to enjoy each others company and give fun, personalized birthday gifts to their favorite 21 year old. 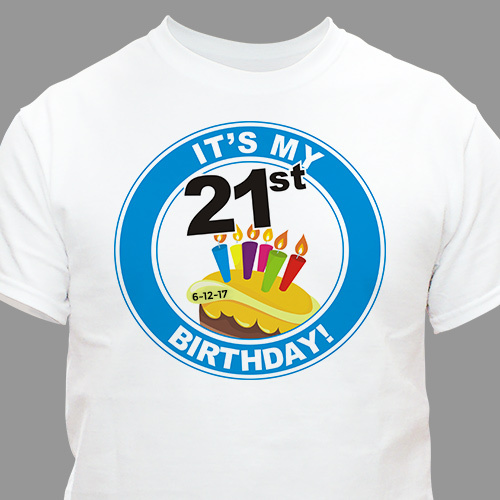 Our 21st Birthday Personalized T-Shirts are a cool personalized gift that always looks great. 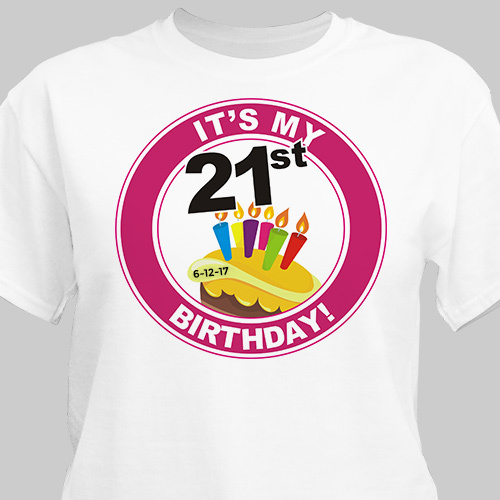 Our 21st Birthday Personalized Shirt is available on our premium 100% cotton Personalized T-Shirt, machine washable in adult sizes S-3XL and in youth sizes XS-L. Personalize your It's My Birthday - 16th Birthday T-Shirt with any age and any birth date. Please choose pink or blue design.